The outside of a RBC branch located in the area of Dufferin Street and Major Mackenzie Drive West is seen. No criminal charges will be laid in connection with the police-involved fatal shooting of a 25-year-old man who walked into a Vaughan bank appearing to be armed with a handgun last year, announcing he had explosives attached to his body and in a backpack he was carrying. 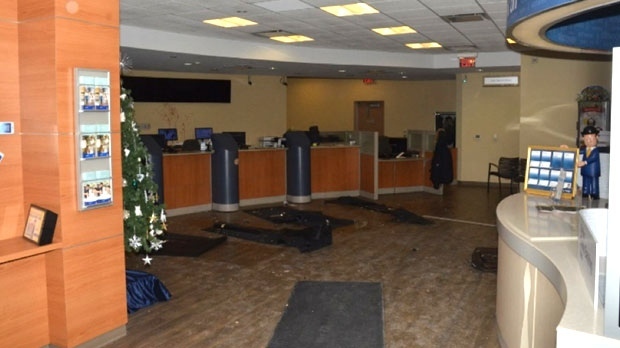 The investigation, which was detailed thoroughly in a report released by the Special Investigations Unit (SIU) on Friday, included interviews with 13 witnesses – the three customers and ten bank employees inside the RBC branch located in the area of Dufferin Street and Major Mackenzie Drive West at the time. The suspect then locked the front doors with a bicycle cable lock, the report said. “(The suspect) pointed his handgun at a bank employee and ordered her to tie up the other employees and bank customers with the zip ties that he had brought into the bank with him,” according to the report. If they did not comply, “he would detonate his body-worn explosives and the explosives in the backpack, thus killing all of the hostages and himself,” the SIU said. The report detailed the 911 call, which lasted two minutes and six seconds. The bank customer and the suspect made the request and provided their location during the phone call and when asked to clarify, the suspect took the phone and hung up. Fifty-nine officers responded to the scene. 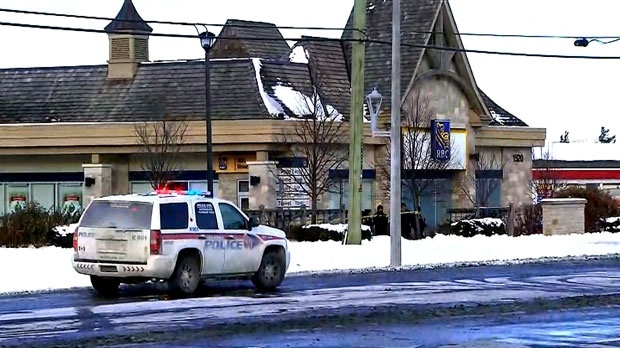 While the hostage situation was taking place, officers armed with sniper rifles gained “discrete entry into the bank through a secondary door that had not been detected and secured by the suspect,” the SIU said. 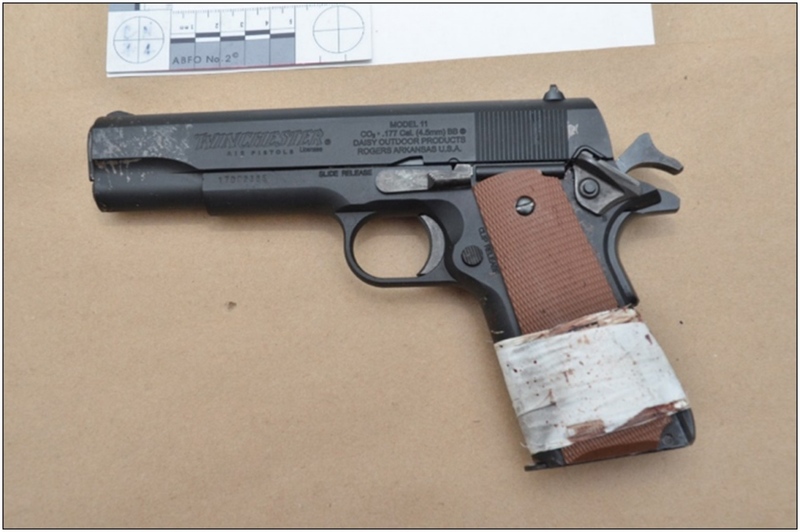 The SIU said it was later discovered that the suspect was armed with a pellet pistol made to look like a Colt M1911 .45 calibre handgun and the supposed explosive device on his person and in his backpack was made of plumbing materials, plastic and electronic components with harmless circuit-free wires, which was not known to any of the responding officers or hostages at the time. A post-mortem examination determined the suspect’s cause of death to be gunshots wounds to the head. He was struck twice by police bullets. The director’s report was released to the public as per the direction of the Attorney General.